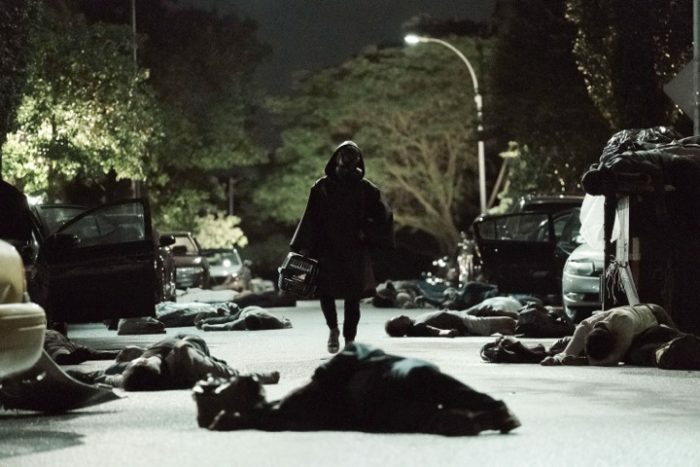 Yesterday a worrying rumor said the anticipated FX series Y: The Last Man, which was only green lit a few months ago after years of development, had already been canceled. The show is based on the popular comic from Brian K. Vaughan and Pia Guerra, and at the time had Michael Green (Blade Runner 2049) and Aida Mashaka Croal (Luke Cage) acting as showrunners. Well, the rumor wasn't exactly on the money. The series is still going on, but with a major overhaul. Yesterday showrunners Green and Croal tweeted their departure from the series, and for a while it seemed that FX had dropped the show altogether, but EW confirms it will move forward without them. "Creative differences" are the reason given their exit, and a new showrunner is being sought. It looks as if the incredible cast led by Barry Keoghan, Diane Lane, Imogen Poots, Lashana Lynch, Amber Tamblyn, Marin Ireland, and Julianna Canfield will remain. Let's sure hope that's the case. So this is sort of a mixed bag, which is about the best we can ask for. Y: The Last Man centers on Yorick Brown, the lone male survivor when a plague wipes out any mammal with a 'Y' chromosome. Well, other than Yorick and his pet monkey, Ampersand. Y is expected to arrive in 2020.